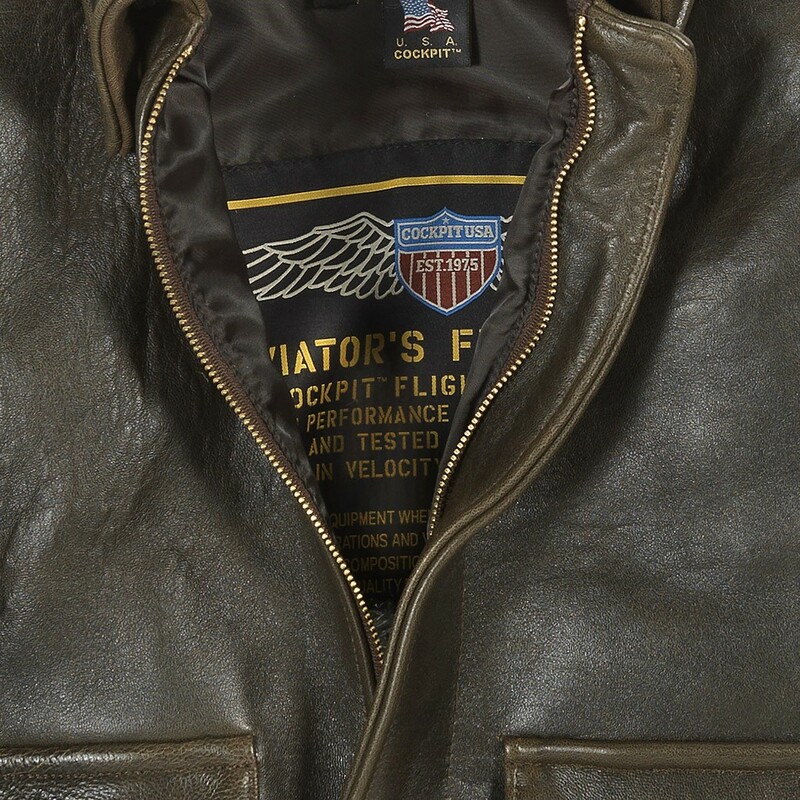 During WWII, the ‘battle worn’ look of a pilot’s jacket was a visual reflection of his courage and bravery. 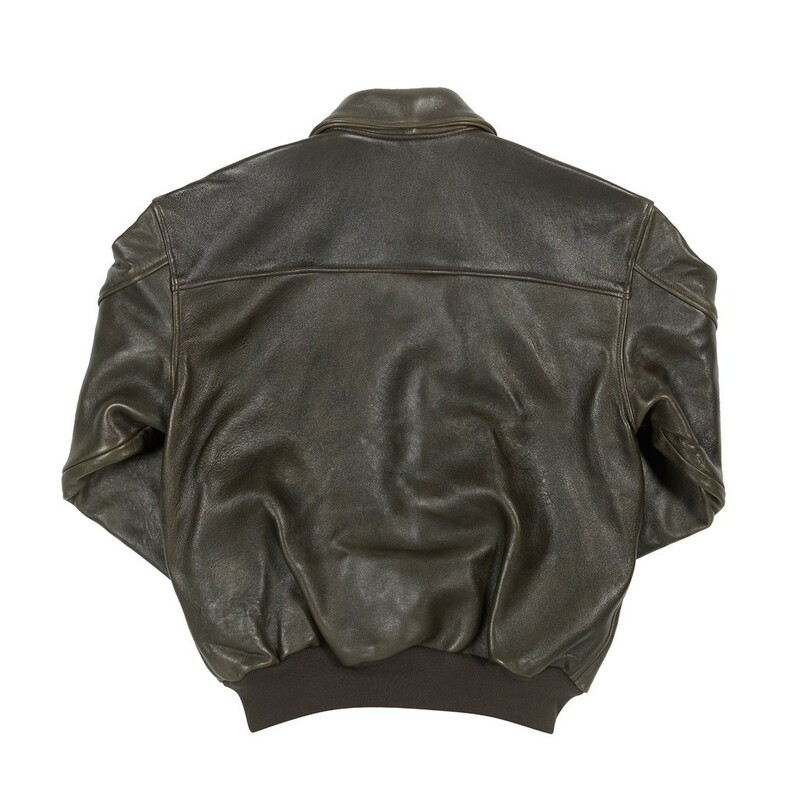 Recreating this effect, the antique lambskin features purposely made surface irregularities and natural graining to recreate a weather-beaten appearance. 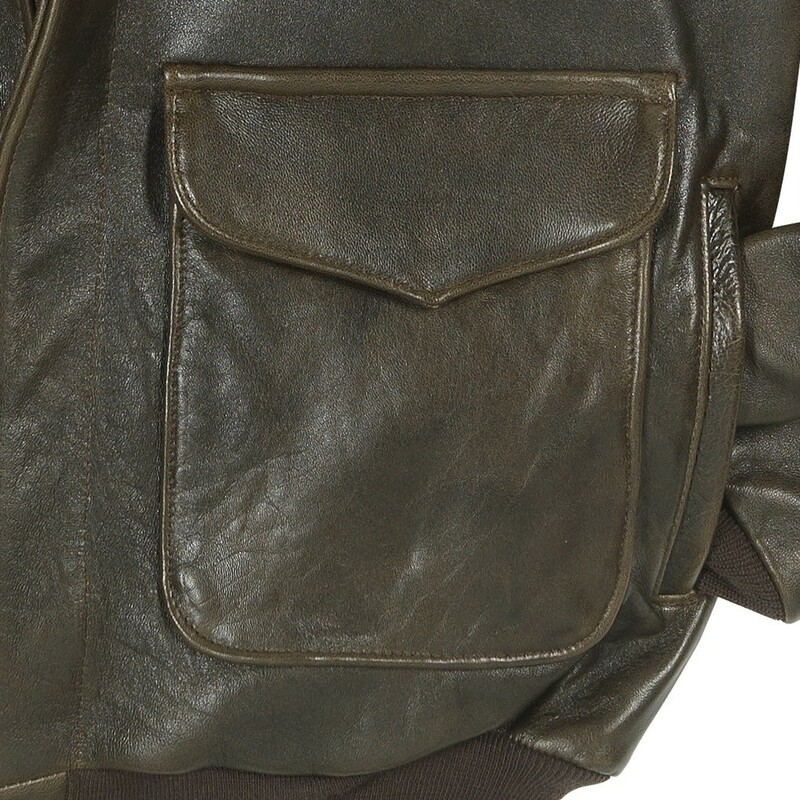 With continued wear, the color of the leather will lighten and its texture will become richer, adding to the vintage characteristics of the jacket. This ‘100 Mission’ jacket is manufactured according to A-2 military specified detailing and does not contain fiberfill or bulky insulation, making it suitable for all seasons and particularly perfect for warmer climates. If you are looking for a heavier weight winter jacket, the Cockpit Antique Lambskin A-2 Jacket is the one for you. 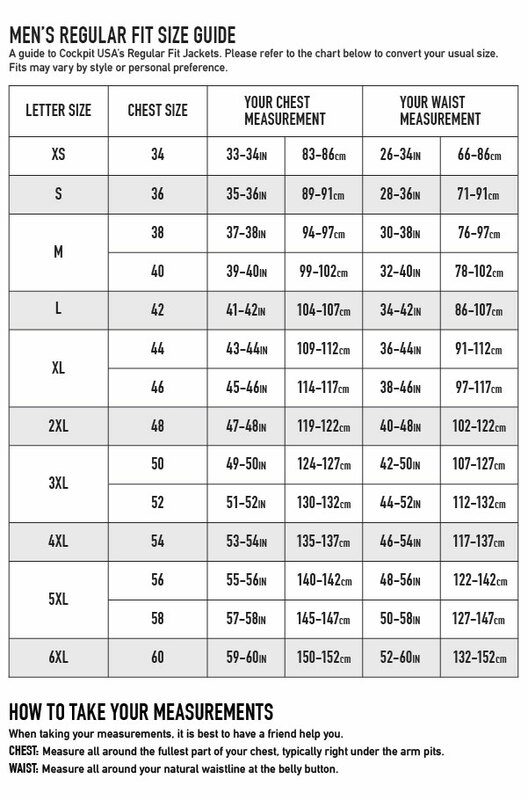 This full cut jacket runs true to size (no need to upsize for more room). Available in sizes Extra Small to 6XL. We recommend ordering your normal size. It doesn't get any better than this. Is there a lighter weight version of the jacket? Review: Although I haven’t worn this jacket nearly as often as I should, the quality of this jacket is beyond any other similar ones you can find online. From the lining to the outside shell, quality is not stepped on. Pros: Lightweight & comforable. Nice soft leather & silky lining. Review: About 7 years ago, I purchased an A-2 flight jacket from National Geographic (back then I wasn't quite as internet savvy). It cost over $500, & turned out to be "made in China"! Over time, the lining & pockets got all ripped, to the point where I couldn't stand to wear this "copy". I'm just lucky I happened upon you nice folks, so that I can now wear the real deal - for less money! 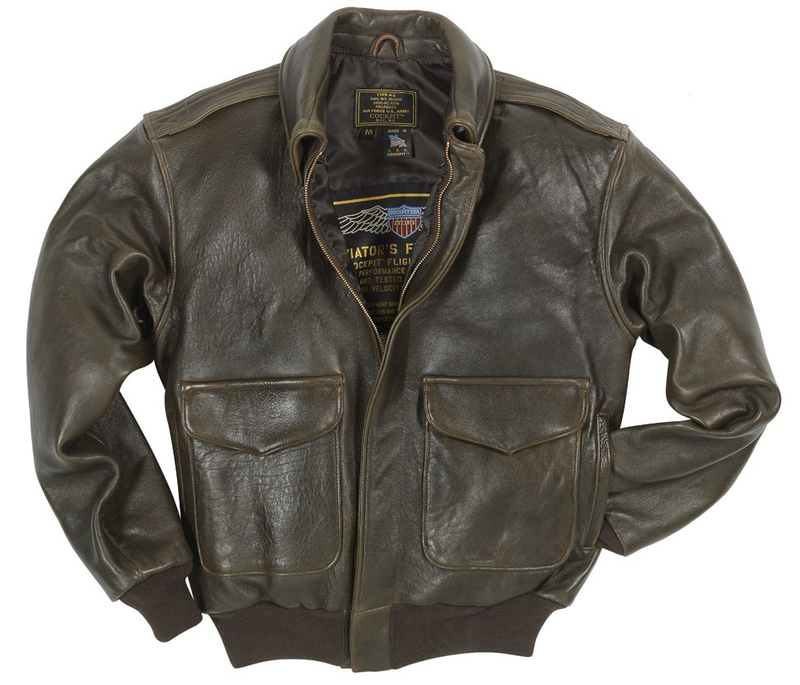 I would definitely buy this “Great American Made A-2 Leather Pilot Jacket” again. Pros: Warm and comfortable for Texas weather. Review: This jacket met all of my expectations. It seemed a little heavy compared to what I expected. After wearing a nylon flight jacket in the Air Force this is my first leather flight jacket and made in America it is better than I expected. It appears to be just like I envisioned my uncle wearing during WW2 as a pilot. Review: Great fitting jacket. It did come with some wrinkles in the upper right hand chest area, but that just gives it a unique look. The leather is very soft and cozy. It's not lined so not to warm, but I wasn't looking for a heavy lined leather jacket. This is exactly what I was looking for and it exceeded my expectations. I have received many compliments on this and am very happy with it. Review: Exceeded expectation. High quality , exceptional materials. No flies on this jacket . A bit on the heavy side . Excellent. Wouldn't change anything. Review: I bought this as a gift for a friend who got his pilots license late in life. The jacket is high quality material and the fit is perfect. Cuz it looks GREAT. I look GREAT! Review: Soft but rugged leather, not heavy, very comfortable. Great looking, loved the slightly worn appearance. Plan on wearing it out, over the next 20, 30 years. Every jacket I've purchased from My Pilot Store are superior in quality and appearance. Review: This jacket is everything the advertisement said it was, I'm looking forward to many years of adventure wearing this jacket. Cons: Nothing major that I can think of. Cons: It is heavy if you have to carry it, if you stay out shopping to long.